Bereavement -- We bereave when we lose someone or something; it is natural. People cope with the loss of a loved one in many different ways. Some handle their grief better than others but all grieve the loss in some way. With the loss often comes change; and change impacts each one's life. 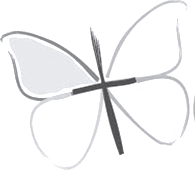 Here at Saint Catherine of Sienna Parish we reach out to those in need of support due to the loss of a loved one. We host the meeting of those who initially experience a loss. The group is facilitated by a trained individual and meets for a specific number of weeks. We also host a follow up group for those that may need additional support beyond their initial need. 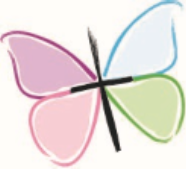 Bereavement Group I "Newly Bereaved" is for newly bereaved individuals dealing with initial change or loss after a loved one's death. Our Bereavement Group II "Moving On" is for those that may need additional support; and one participates in this group after attending Group I.
the symbol of those who are bereaved. it must spend time in a cocoon. from the cocoon of grief.